Two crews rowing for WRC picked up gold medals at the World Rowing Masters Championships held in St. Catharine’s, ON. 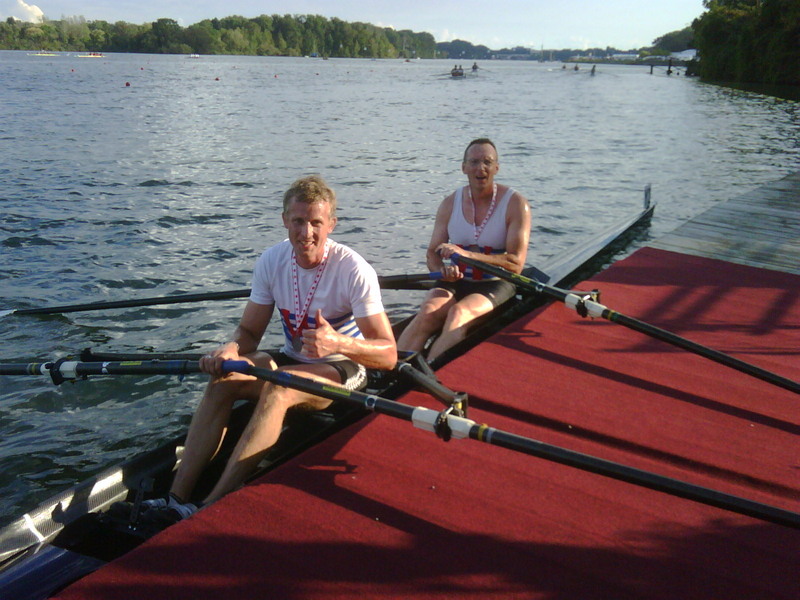 Curtis Oleschuk and Andrew Lamont won their race in the Masters B 2x. Dave Cooke, rowing with crewmate Sherry Andrusiak from Oklahoma, crossed the finish line first in their Mixed A 2x race. Congratulations to both crews on outstanding racing, as well as the other WRC members on their strong performances at the regatta.